There are only three remaining historical Japantowns in the United States-all residing in California: Los Angeles, San Jose, and San Francisco. The latter's Japantown is the largest and oldest such enclave. 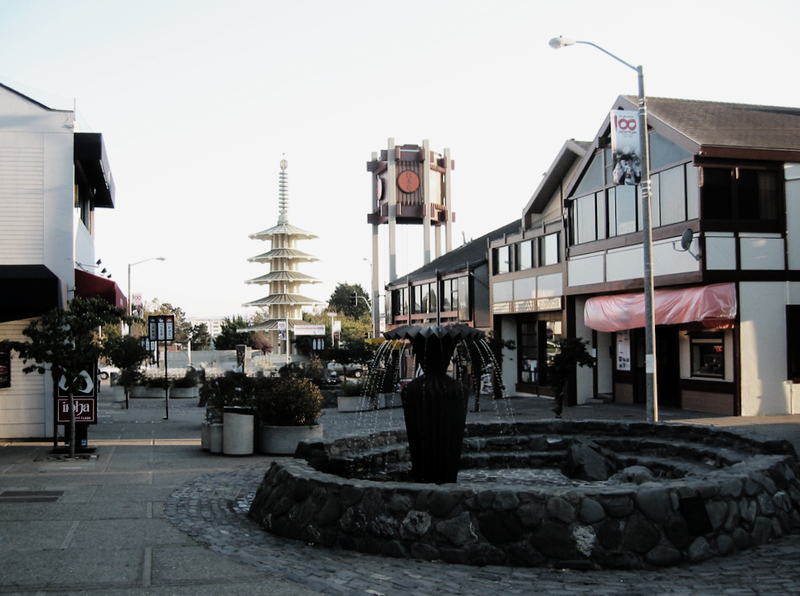 Japantown is sometimes called J-Town, Little Tokyo, or Japanese Town, "Nihonmachi." The first Japanese immigrants arrived in the 1860s to San Francisco, known to them as "Soko." They originally resided in Chinatown in small groups before the great earthquake and fires of 1906. The havoc created from these natural disasters forced them to relocate to the area that is the Japantown that we know today. Despite being deprived** from settling down or opening Japanese shops and restaurants in white neighborhoods, these resilient immigrants formed their own small enclave within San Francisco and nikkei owned businesses thrived; becoming Japantown. 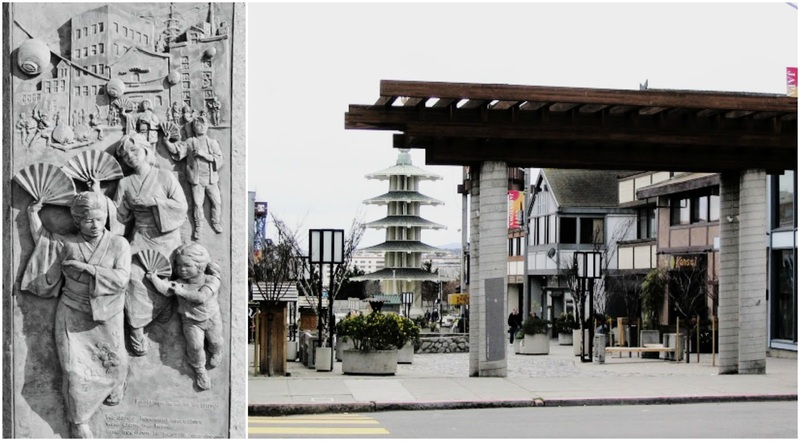 After the conclusion of WWII those of Japanese descent were released from the internal camps and many of the former San Francisco residents returned to Japantown. In the 1960s the neighborhood went through a revitalization and remodeling. More hotels, movie theatres, shopping centres, and businesses were established. Today, "nearly 12,000 Japanese Americans live in San Francisco and approximately 80,000 live in the greater Bay Area." 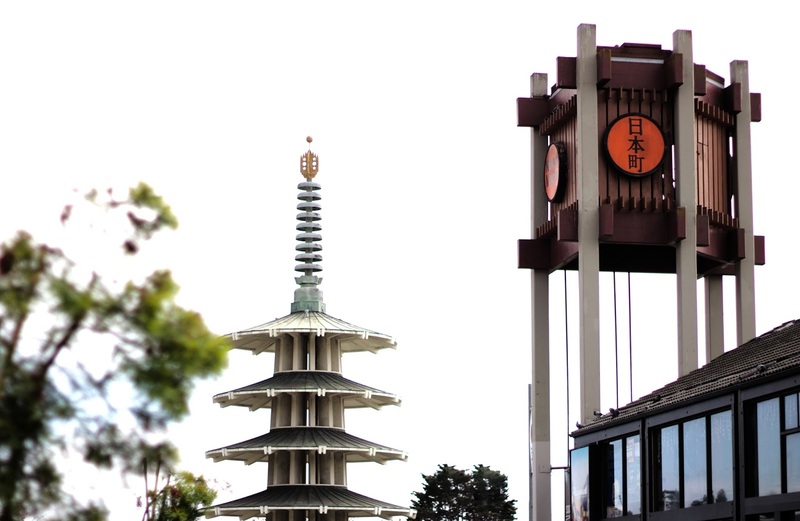 (*2) Japantown is now a very lively and strong community with niche shops, markets, and boutique hotels and spas. It has incredible food, love for fashion, and all things Japanese! 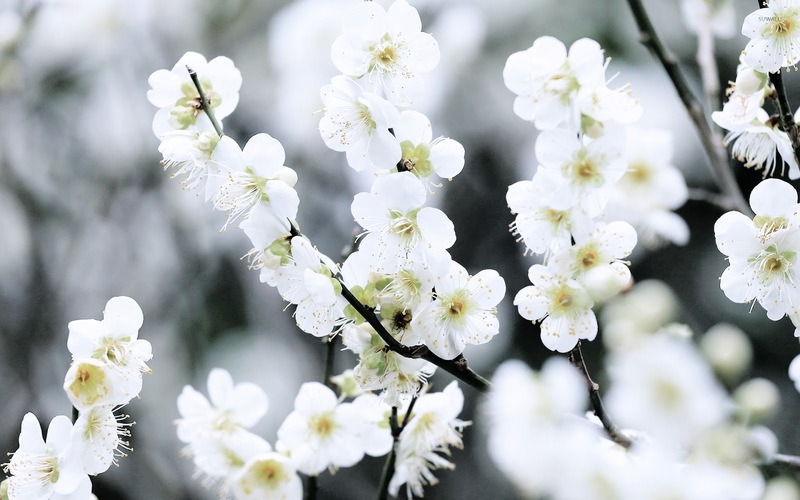 Look for bright red banners with cherry blossoms and the Peace Pagoda (shown here on the blog). The Peace Pagoda was gifted by Osaka, Japan in the 1960s as a sign of peace for people of all races and beliefs. 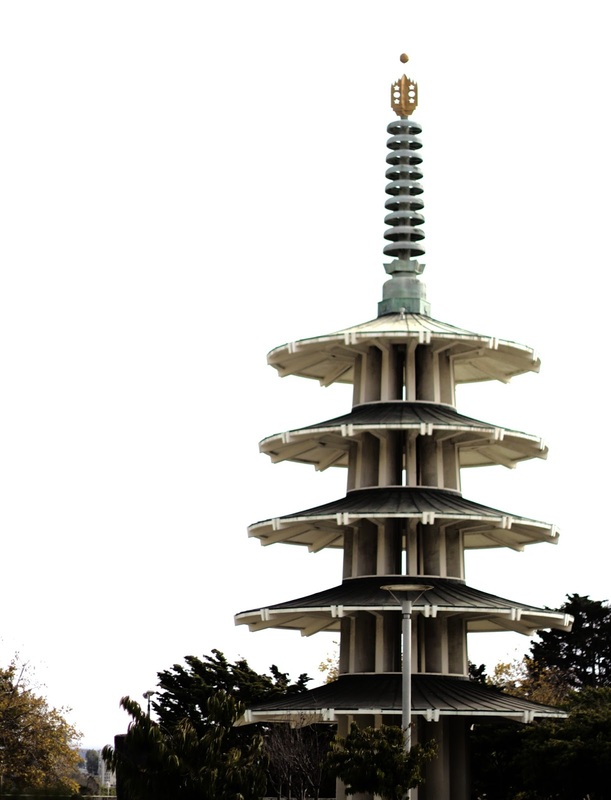 Japan Center Malls - East & West - The East and West Malls are centered between the Japantown Peace Pagoda. I love how part of the mall feels like you're going underground. Pika Pika - Japanese photo sticker booths are the draw at this vibrant shop with standard film & photo services. Kinokuniya Bookstore - Wide selection of books, magazines, comics, and stationery. Shabu-Sen - shabu-shabu & sukiyaki, which guests cook themselves in a cauldron of hot broth. Udon Mugizo - Simply decorated Japanese noodle specialist serves up a menu of udon, tempura & mochi. Isobune Sushi - Boats carrying sushi to be plucked from a countertop moat make this a kid-friendly dining option. Tanpopo - Serves Yakisoba, literally "fried buckwheat," or sōsu yakisoba. Belly Good Cafe & Crepes - Crepe, Ice Cream & Boba Drinks. Creative Japanese-style crêpes adorned with smiles sculpted from toppings & whipped cream. Shalala - Contemporary noodle house serves ramen bowls, Japanese fare & has a laid-back atmosphere. May’s Coffee Shop Breakfast, Lunch, Coffee, Tea, Sandwiches, Noodles, Hawaiian Type Breakfast at an indoor counter spot in the West Mall. Kabuki Springs - Relaxed day spa that offers both familiar & Asian treatments, plus Japanese-style communal baths. Did you know about the United States' Japantowns before? Have you ever been? Do you have anything I should add to my list of things to do next time I go? Have you been to any of the other Japantowns before? *Blogger's Note: Parts of my research and the anti-Japanese propaganda from these time periods have an unfortunate familiarity to the United States' and our current President's sentiments towards Muslim communities / those of Persian / Middle Eastern descent. I hate to see history repeat itself; while I don't foresee it going so far as internment camps, it's devastating to see how we are allowing racism or prejudice to represent our nation and affect so many innocent people in need of help or wanting to live in peace. **White settlers referred to Asian settlers as the "Yellow Peril" and even went so far as to lobby (and won) to limit their rights, put restraints on their property, and exclude them from "white neighborhoods." If you'd like to learn more about this search for "Asiatic Exclusion League" or read the collection of journals, "Major Problems in Asian American History." (1) Daniels, Roger. Major Problems in Asian American History: Documents and Essays. Ed. Lon Kurashige and Alice Yang Murray. Boston, MA, USA: Cengage Learning, 2016. Print. (2) "Discover San Francisco Japantown!" SF Japantown. Japan Center, n.d. Web. 27 Mar. 2017. <http://sfjapantown.org/japantownhistorywalk>. (3) "About Us." Northern California Cherry Blossom Festival. N.p., n.d. Web. 27 Mar. 2017. <http://sfcherryblossom.org/about-us/>.